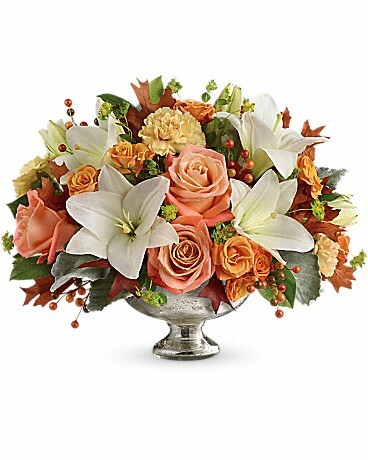 Dress their fall table to impress by sending this shining bowl of the season's finest! 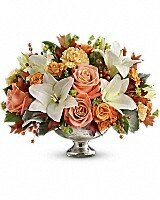 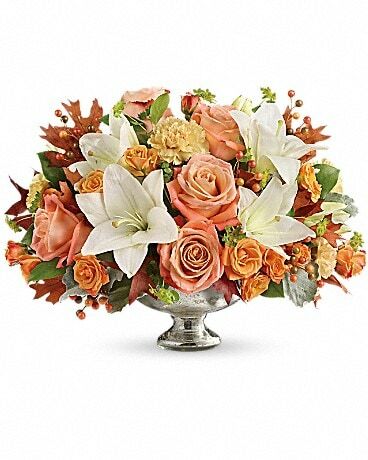 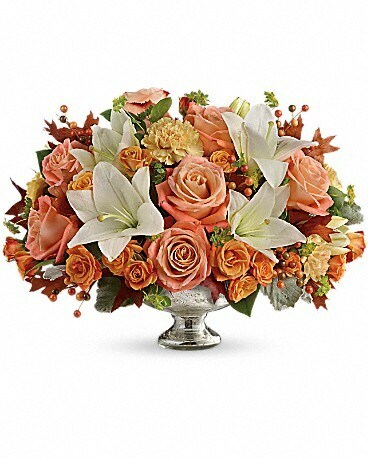 Hand-delivered in a stunning mercury glass bowl, this artistic mix of white lilies and peach roses is sure to make their season a memorable one. 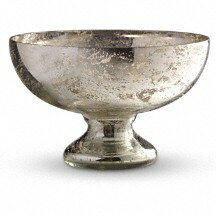 Substitutions on container may be necessary.